I do like to read Christmas books around this time of year. Yesterday I started my annual reread (or relisten) of A Christmas Carol, read so beautifully by Miriam Margolyes. Thankfully the weather has calmed down a little after a few horrible days around 40C. I had to go to work on Friday but Saturday & Sunday were spent inside with all the blinds down & air conditioning on, drinking iced tea, reading & watching Christmas movies, especially the ones set in very cold places. 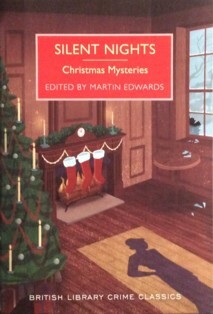 One of the books I finished reading over the weekend was Silent Nights, an anthology of Christmas mysteries, mostly from the Golden Age, edited by Martin Edwards. This is one of the wonderful British Library Crime Classics, a very successful series of mystery novels & short stories reprinted by the British Library. Silent Nights is a mixture of well-known & newly resurrected stories. The first story features Sherlock Holmes, The Adventure of the Blue Carbuncle, is an old favourite involving the theft of a famous diamond & a Christmas goose. The Necklace of Pearls by Dorothy L Sayers is another favourite, more stolen jewellery & a clever plot that tests the skills of Lord Peter Wimsey. One of the most interesting & atmospheric stories is Waxwork by Ethel Lina White. A waxworks museum has a reputation for being haunted. Two people have tried to brave the ghosts by staying in the museum overnight & been found dead next morning,. Ambitious young reporter Sonia is determined to succeed where others have failed but can she debunk the stories? The tension is heightened as the night wears on & I was almost looking through my fingers at one point. I haven't read any Edgar Wallace but the story included here, called Stuffing, is beautifully plotted as well as quite funny. Both the good & the bad get their just deserts. Edmund Crispin is another favourite author. I read all his books one summer many years ago & Gervase Fen, Professor of English Language & Literature at Oxford, is a wonderful character. Reading this story again after so many years that I'd forgotten the solution, I thought that Stephen Fry would be a very good Fen if the books were ever made into a TV series. In The Name on the Window, architect Sir Lucas Welsh is found stabbed in a supposedly haunted pavilion at the home of fellow architect Sir Charles Moberly. Before his death, he had time to write the name of his murderer on the window but all is not as it seems. This is an excellent anthology of stories. 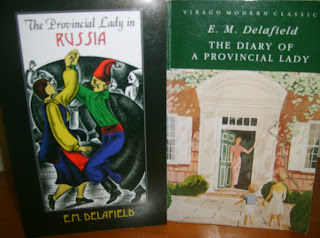 I read one every night over a couple of weeks & I like to read anthologies that way. Reading too many short stories at once can be a little indigestible but one a day is perfect & this collection was just what I needed in the busy & hot days before Christmas. Sorry to hear it is so hot! It is warm for the season in France, much too warm. Climatic changes. Thank you for this excellent review (as usual). The cool change came through which was a relief but it will still be quite warm Christmas Day. Rain is predicted on Boxing Day which will be wonderful for the garden. It would be more seasonal to read this in France. I have this as my Christmas read this year, which reminds me that I must go and read it. Have a lovely Christmas, Lyn, with lots of reading time (and, please, mild weather!). Merry Christmas, Vicki. I hope for mild weather all summer but I'm usually disappointed! Christmas Day looks warm but if we get the rain on Boxing Day, I'll be happy. We have been reading this at the same time, Lyn! I also enjoyed it and commented on my blog. It is unseasonably mild here in Derbyshire - not like Xmas at all. Merry Christmas, Christine. I try to read something Christmassy (apart from Dickens) every year & this was perfect. It's hot here which, unfortunately, is definitely just like Christmas! Rain is forecast for Boxing Day though which will be very welcome. Merry Christmas to you, too, Lyn! I am reading, and enjoying, this one at the moment. I am working my way through The British Library Crime Classics, they don't disappoint. Merry Christmas, Tracey. I've just been over to have a look at your blog & will go back & read the whole thing later. Yes, the BLCC are an excellent series. I have lots on the tbr shelves & must get around to actually reading more of them next year. Confession - books no 2999, 3000 & 3001!